Condeixa-a-Nova, also known as Condeixa, is a town and a municipality in the district of Coimbra, Portugal. It is located 15 km south of Coimbra, and in the Greater Metropolitan Area of Coimbra. The town is known for the ancient Roman settlement of Conímbriga which is located nearby, and includes a museum and the well-preserved ruins. The municipality of Condeixa-a-Nova is traditionally a center for agriculture. The municipality has also a number of industries ranging form ceramics to pharmaceuticals (Medinfar). The ancient Roman settlement of Conímbriga, is an important tourist attraction. The Pousada de Condeixa a Nova, Santa Cristina, a former palace owned by the Almadas Family, was built in the 16th century. For several years it received members of the European nobility. In the first half of 19th century, the palace was transformed in an hotel inn, later on it was an orphanage to poor Childs and finally an asylum homeless elderly people. This Palace was completely reconstructed, having been transformed in this beautiful charming hotel. The Pousada Santa Cristina is close to the Lisbon-Oporto motorway (A1), near the historical university city of Coimbra and only 2 Km from Conímbriga, one of the best preserved Roman ruins in Europe. Its interior design, the peacefulness of its surrounding green areas and the palace park nearby, are all excellent reasons to visit this Pousada again and again. Curia (alt. 40m/130ft), about 10km/6mi northwest of the Buçaco National Park, is a well known spa. Its hot springs containing calcium sulfate are favored for ailments of the joints and metabolism. Curia has modern treatment facilities a variety of sport and recreational amenities and an attractive spa park. Rolling countryside and natural hot springs enclose this golf and spa hotel housed in a grand nineteenth century residence dating from 1888. Balconies afford views over the grounds. The hotel extends to extensive spa facilities comprising of two swimming pools (indoor and outdoor), Turkish bath, sauna, jetted tub and beauty treatment rooms. Guests also have direct access to the connecting nine-hole golf course, which includes a golfing school, equipment hire shop and terrace bar. After a day luxuriating in the spa or putting around the green, guests can enjoy mouthwatering dishes in the hotel's nineteenth century dining room, whose signature dish is roast suckling pig. Those keen to explore further afield can find a wine museum and a winery five and 20 kilometers away respectively. Visitors are offered complimentary transport to and from Coimbra Railway Station. Curia Palace Hotel Spa and Golf Resort is located in the vineyards of the Bairrada region in Tamengos, Portugal, 27 kilometres from historic Coimbra, and 33 kilometres from the beaches at Aveiro on the Costa Nova. Set in an opulent early 20th- century European palace, Curia Palace Hotel Spa and Golf Resort features jetted spas, sento Japanese baths, a Turkish Bath, sauna, and heated indoor swimming pool. There is also an outdoor Art Deco pool. The Belle Epoque restaurant offers a menu of classic international and Portuguese dishes in an Art Deco setting. The lobby bar serves local Portuguese tapas, wines, and cocktails, and there is a poolside bar and grill. Room service is available and complimentary breakfast is served daily. The hotel features its own 34-par nine-hole golf course. There is also a kids' club and pet farm with pheasant and deer. Figueira da Foz, also known as Figueira for short, is a city of the district of Coimbra, in Portugal. It is located at the mouth of the Mondego river, 40 km west of Coimbra, and sheltered by hills (Serra da Boa Viagem). The city proper has a population of 46,600 and the municipality has in total 62,601 inhabitants. It is the second largest city in the district of Coimbra. It is a coastal city with several beaches, summer and seaport facilities in the Atlantic Ocean coast. As a city of tourism it plays an important part in the centre of the country. A zone of legal gambling, one can find in Figueira one of the biggest casinos of the Iberian Peninsula – the Casino Peninsular. 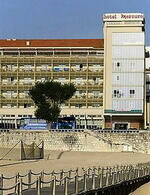 The Mercure Figueira da Foz is located in Figueira da Foz, Portugal. 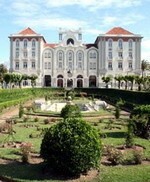 Figueira da Foz Casino is 300 metres away, and the Palacio Sottomayor monument is one kilometre from the hotel. 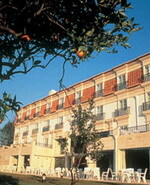 The hotel has wireless Internet access throughout its public areas, and two meeting rooms for conferences and seminars. 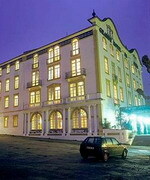 The Mercure Figueira da Foz houses O Astrolabio, which serves international dishes. There is also a bar. This hotel has 102 guestrooms. All come equipped with wireless Internet access, satellite television, minibars, radios, direct-dial phones, and desks. The Sotto Mayor is located in Figueira da Foz, Portugal, 300 metres away from the sandy beaches. The historic Casino da Figueira is one kilometre away and includes restaurants and bars. The city of Coimbra is located 40 kilometres from the hotel. 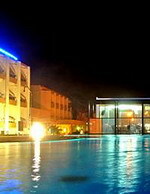 The outdoor swimming pool is open during the summer months and has waterfalls and a poolside bar. The hotel also offers discounted entry to the nearby health club. The air-conditioned public areas have wireless Internet access and free parking is available. Sotto Mayor has an onsite restaurant that overlooks the pool and offers Portuguese, Italian, and Indian dishes. Al Fresco dining can be taken on the terrace. The hotel has conference and meeting rooms which include audio-visual equipment and banquet facilities can be provided. Manteigas is a town and a municipality in Portugal with a total area of 125.0 km² and a total population of 4,002 inhabitants. The municipality is composed of 4 parishes, and is located in the District of Guarda; in Region Centro and Sub Region: Beira Interior Norte, Comunidade urbana: Beiras. 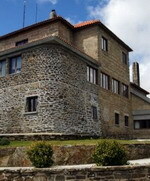 It is located in the Serra da Estrela Mountain, the highest elevation in mainland Portugal. Cities nearby: Guarda, Seia, Gouveia and Covilhã. The present Mayor is Esmeraldo Saraiva Neto Carvalhinho, elected by the Socialist Party. The municipal holiday is March 4. Entirely built with stone of the region, the Pousada de Manteigas, São Lourenço, is located on the top of the Serra da Estrela Natural Park, enjoys a magnificent view over the river Zêzere Valley. 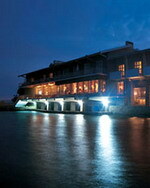 This nature hotel in Manteigas has a panoramic Restaurant, that promotes and priviliges the regional Gastronomy. It is the perfect place for peaceful walks, followed by relaxed conversations by the fireplace. Guests can either practise winter sports during the season or have a refreshing swim in the Summer, in the natural lagoons. Murtosa is a town (vila) and one of four parishes (freguesias) of the Murtosa Municipality in Aveiro District in Portugal. Located in the isthmus that connects Murtosa to the beaches of São Jacinto, the Pousada de Murtosa Torreira, Ria de Aveiro is set in a preserved area with a unique natural beauty. From the balconies of this nature hotel it is possible to overlook the Ria de Aveiro, and on peaceful evenings you can appreciate the fishermen at work on the traditional "Moliceiros" boats. Surrounded by water, this is the ideal spot for fishing, water sports or going to the beautiful beaches wich are near the Costa Nova's typical colourful houses. Vila Pouca da Beira is a village and freguesia (parish) in the Portuguese municipality of Oliveira do Hospital. Vila Pouca was an independent municipality until the beginning of the 19th century. In 1801, when it became a parish of Avô, it had 402 inhabitants. The municipality of Avô, and with it Vila Pouca, merged into the municipality of Oliveira do Hospital in 1855. A historical landmark in Vila Pouca is an 18th century former convent, the Convento do Desagravo do Santíssimo Sacramento ("Convent of the Soothing of the Blessed Sacrament"). When the last nun of the convent died in the beginning of the 19th century the convent became a military hospital. It ultimately became a pousada around the beginning of the 21st century. History tells us that the Convento do Desagravo was built on the orders of the Bishop and Count, Dom Francisco de Lemos de Faria Pereira, during the last quarter of the eighteenth century. The Pousada de Vila Pouca da Beira preserves this fascinating piece of history intact, carefully adapted to provide contemporary comfort. The shaded convent cloister and formal gardens are oasis of calm to relax in from the heat of the day. It was opened in August 2002 as a historic luxury hotel, offering very high standard accommodation in superb surroundings. Its superb location, close to the mountains of the "Serra da Estrela" and the "Serra do Açor", helps to create a romantic and peaceful atmosphere.